Shop the HOKA Speed Evo R here. With the upcoming races in Reeyo, you may have seen runners wearing track spikes—racing shoes designed to maximize performance on the track. And if you’ve been putting in your mileage and want to take your speed up a notch (or several notches) on the track or during cross-country, these shoes might be for you. They’re stiff. A stiffer shoe ensures less energy is lost between your foot and the ground, which helps you maximize your stride. Spikes for different distances come in varying degrees of stiffness, with sprinters desiring the stiffest types of shoes. Put simply, HOKA Founder Jean-Luc Diard says, “As you become tired through the run, your ground contact time will increase.” Stiffness will minimize this problem, shortening time spent at the toe off. They maximize traction. The metal spikes minimize slip with every foot strike, helping you gain more power, no matter the distance you’re racing. HOKA Speed Evo’s unique asymmetrical design. The simplest answer is that every athlete can benefit from having lighter shoes with features for more efficiency and traction. In fact, slower runners might actually see the biggest time improvements by switching, since they have the most room for improvement. Generally, though, spikes are a “next step” for athletes wanting to race faster. 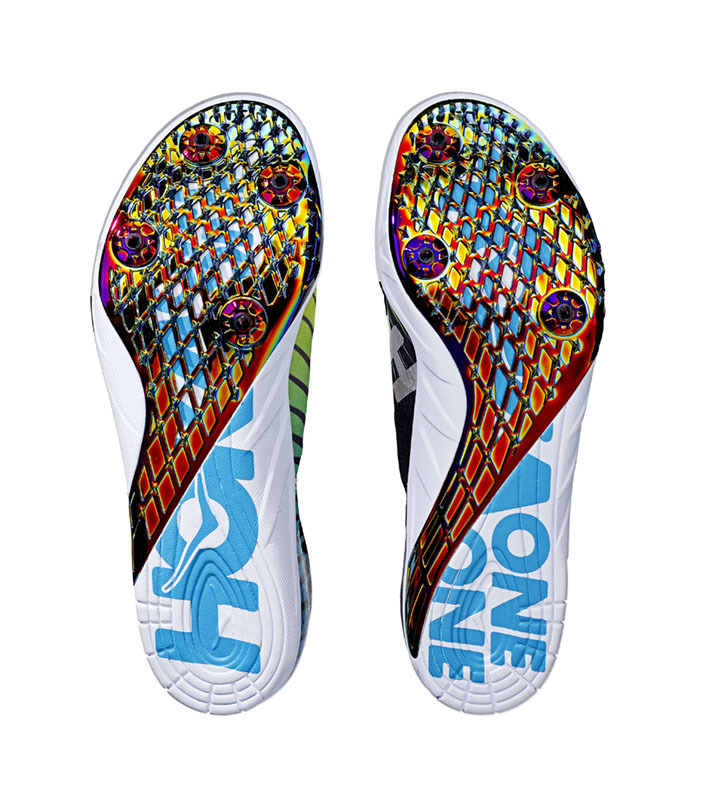 Where does HOKA ONE ONE come in? Even though we’re known for our cushioned models, we want to make shoes that can benefit runners of all stripes, no matter what you’re training for, or what kind of races you run. That’s why, in the last year, we’ve started producing track & field spikes for middle-distance and long-distance runners. 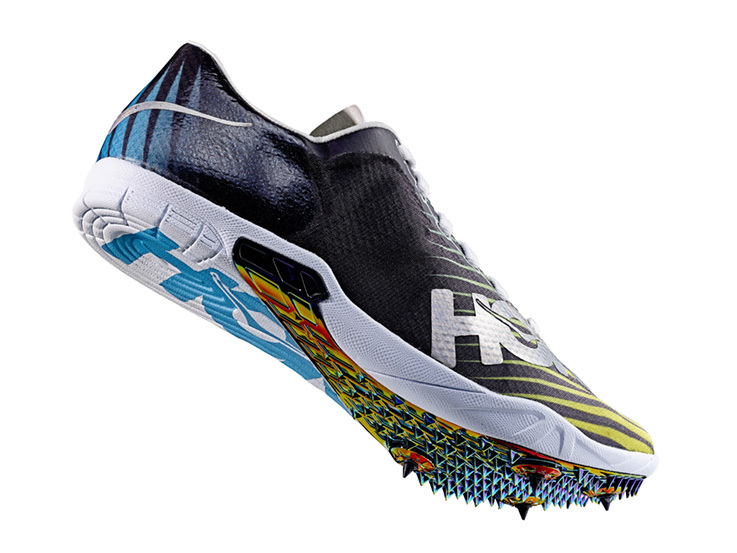 Two models came out this spring, and now, just in time for the U.S. Track & Field Trials, we are excited to unveil the Speed Evo R, which feature asymmetric spike patterns. Most spikes feature set-ups that mirror each other, whereas our shoes feature spikes arranged identically on the left and right shoes. Our designers call it Scaevus Symmetry: an innovation borne of the simple observation that half an athlete’s race on the track is spent turning left around the oval. Typical track spikes with symmetrical traction patterns help runners move quickly in a straight line, but this can leave them fighting centrifugal forces around the turn as they struggle to stay to the inside of the lane. The extra traction can mean savings of even fractions of a second—but that’s something that adds up over a 25-lap—or even a 10K race. Yet another example in our evolution of performance racing footwear; the brand’s founders, working with the product team and our athletes, identified a problem and solved it with a simple but disruptive design change. The Speed Evo R will be coming your way early 2017.